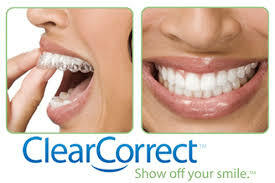 Our use of the latest technology and products make dentistry a truly comfortable and enjoyable experience. Consistent hygiene and examination visits enable you to maintain good oral hygiene and healthy teeth. Chicago is a big city with many smiles. Make sure yours stands out from the crowd with dental care from Big City Dental. YOUR TRUSTED NEIGHBORHOOD DENTIST FOR OVER 37 YEARS! Friendly Staff. Beautiful Smiles. Comfortable Environment. Why Do Patients Choose Big City Dental? Our care for our patients is based on their desires and needs and our doctors are not constrained or obligated to provide treatment based on insurance policy restrictions or third party interference. If you're searching for a Chicago dentist with years of experience with comprehensive hygiene care, dental anxiety management, cosmetic dentistry, dental veneers, smile makeovers, dental implants, Invisalign, dental crowns, specialized periodontal care, and complete dental rehabilitation-look no further. We’ll Provide You With That Winning Smile! 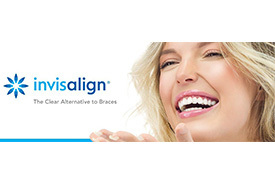 Dr. Steven Kalensky is an Invisalign Premier Provider and has helped many patients achieve the smile of their dreams. Take the first step to improving your smile and call to schedule your FREE consultation today. "I've been coming to Big City for decades (since it was "Always There" across the street. No matter the name, Dr. Kalensky and his staff have always been superb, super helpful, friendly, on it and it's actually a pleasure to go to the dentist. Wait? Did I say that? Yes, I did. It's a pleasure to go the dentist at Big City. Had a new (for me) hygenist this time, Austin, and she was fantastic! Thanks for all your years of service to everyone there. I greatly appreciate the work you do and am grateful for it." "Dr. Kalensky performed the most thorough dental exam I've ever had in my life. The assistant, Lisa, was quick and efficient. The hygienist, Casey, did an excellent job." "I have been a patient of Big City Dental for over 20 years and have always received top quality care, respect, and support. I can honestly say I enjoy going to the dentist!" "I love this office and would recommend it to anyone searching for a dentist. I strongly appreciate the way my questions are answered and everything is explained to me clearly. I feel lucky to have found a great dentist and plan to keep coming back as long as I am in Chicago!" "Dr. Kalensky is gentle, caring, top-notch professional who pays attention to every detail in the practice, in order to deliver quality dental treatment efficiently and painlessly." "Wonderful, warm, friendly, accommodating, transparent. Been a happy customer/patient for double-digit years. Michelle is exceptionally skilled as a hygienist and a friendly and knowledgeable dental professional." "Big City Dental has been everything I'd hoped for in a dentist. From the friendly voice that answered the phone, scheduled my appointment and went over all costs involved (I don't have dental insurance), to the dental hygienist, to Dr. Kalensky. During my appointment, Dr. Kalensky went though, basically, everything that's going on in my mouth - from what I can work on now, to what might need to be done in the future. It was easy to see what he was talking about as they took photos of all of my teeth and displayed them in front of me as we discussed - so he was able to show me any areas of concern. Besides the great service, their office on Southport was beautiful too - relaxing, tranquil and very clean. Big thumbs up here! I've already told 2 of my friends about it who are looking for a new dentist!" "I've been going to Big City for several years now, and the service and experience is consistently exceptional. I've always felt like I've received knowledgeable and skilled care from Dr. Kalensky and his team, and have no plans to ever go anywhere else." "Big City Dental is the last dental office you will need to know about. Thoroughly professional staff of the highest quality. Fun and nice, too!" "I cannot recommend Big City Dental enough. My expectations are always met and exceeded. The staff is friendly and efficient, the equipment is state-of-the art, the atmosphere in the office is cheerful. I have been going to Big City for over ten years and have always been very pleased. I am smiling and my teeth look fabulous." "Dr. Steve Kalensky and all the staff at Big City are amazing. The office is inspiring and runs like clockwork. I have been going here for more than 10 years and I can honestly say they've never kept me waiting. They utilize all the latest technology to streamline every aspect of your visit. Most importantly all the doctors, hygienists, and staff seem genuinely interested in making a connection with each patient. It makes this Big City seem like a small town where everybody knows your name." "Very friendly, and knows what he is doing. He calmly gets the job done quickly and without any hassle, which makes going to the dentist easier than what I had before. He fixed some problems that I had and my teeth are improving." "They greeted me by name even though I had not been in the office in over a year. The appointment was quick, and relatively painless, and the staff as a whole is very friendly." "I was incredibly pleased with my experience as a new patient with Dr. Knabe. Lisa did an excellent job with my x-rays & it was great bonding with her over roller hockey. Thanks for the excellent customer service during my first visit to Big City Dental!" "Dr. Kalensky and his staff are just a great team. I was particularly nervous for my appointment and was put at ease. Plus, Dr. Kalensky is an excellent dentist." "Personable, relaxed, seemed very knowledgeable and interested in answering my questions. I was very impressed with my first visit to Big City Dental and am planning on being a regular. They are extremely thorough doing an exam also." "Dr. Kalensky is very intelligent and up-to-date on dental standards. He's also upfront on my situation and what can be done to fix any problems. Very thorough!" "They explain everything. I'm so used to not even knowing what a dentist is doing to my teeth. It's good to be treated as though I might actually understand what the dentist is talking about (even though I don't). Jk! :)"
"Wow, there are so many things! extremely knowledgeable and friendly staff appointment flexibility! clean office! I have been a patient for almost 20 years and hope to be for 20 more!!" "I am always very impressed with the friendly and professional atmosphere at Big City Dental. I have never had to wait for my scheduled appointment and the wide variety of services I have required have been as pleasant and thorough as possible. I always recommend Big City Dental to friends." "We moved to the burbs but I still come to Big City Dental. It's the only service I still come to the city for. I've even given up my city hair stylists!!! Not only are Dr. Kalensky and all the hygienists excellent, everyone is friendly, courteous and professional. Keep up the good work and I'll keep coming to the city." "I have always been very pleased with Big City Dental and have recommended it to many friends in the area. I am continuously impressed by the friendliness of everyone in the office and the amount of detail remembered about each patient. I feel that I am always receiving the latest in treatment and dental advice. Thank you!" "I've been a patient for a few years and I couldn't be happier with the services I receive from Big City Dental. The dentists, hygienists and front office staff are all friendly and professional, and they make the comfort of their patients a top priority during visits. I've recommended Big City Dental to several people over the years." "I really appreciate the attention to detail and personal touch that everyone at Big City Dental has. Every time I have an appointment, everyone on the staff makes me feel completely comfortable and treats me like a neighbor, not a patient. I'm always impressed by the personal and professional manner displayed by all the employees. Keep up the good work." "I always have a very positive experience at Big City. I never liked the dentist growing up because of the polishing. I mentioned that upon my first visit to Big City and it has never been an issue! The hygienists polish quickly and carefully, which is greatly appreciated. All of the staff are extremely friendly and helpful, I always feel like I am visiting friends, not the dentist." "I am SO impressed with the quality of care I have received at Big City Dental. Over the past few years, I have needed a lot of dental work. During all my procedures, from routine cleanings to surgeries, I have felt comfortable and confident that I had the full attention of very skilled providers. Everyone there has worked with me every step of the way to ensure that I was happy with the final product — I am ecstatic! I truly appreciate the friendliness of the staff, and it is a joy to go to the dentist! I don't know how many people can say that! I would highly recommend Big City to anyone!" I was born and raised in Chicago and have lived in and around the city most of my life. After completing my undergraduate studies at Santa Clara University in California, I returned to Chicago and graduated Northwestern University Dental School in 1981. I am licensed in both Illinois and California. In my spare time I enjoy cycling, golf, snow skiing, and yoga. I am a member of the American Dental Association, Illinois State Dental Society, Chicago Dental Society, and Academy of General Dentistry. I believe that informing and educating my patients is the foundation of developing a trusting and long-term relationship that will lead to a lifetime of dental health. Through the interaction, involvement, and cooperation of my patient I believe an empowering and caring relationship develops that leads to successful decision making. With my use of current technology and methods, I strive to make a visit to the dentist less apprehensive and painless. With over 750 hours of continuing education, I am able to use state-of-the-art materials to restore teeth to their natural function and appearance. I look forward to helping my patients whether it’s a basic filling, complex cosmetics, or full mouth rehabilitation. I have been performing dental services like bonding, porcelain veneers, and implant restorations since the 1980’s. The 34 years of experience I bring to my patients has enabled me to perform both complex and basic dental procedures efficiently and with beautiful, long-lasting results. I graduated from the University of Illinois in 1988 with a doctorate in dentistry, where I received the Student Periodontal Achievement award and the Oral Pathology award. My research in the Department of Oral Pathology has been published in the Journal of Dental Research. I received my specialty certificate in periodontics from the University of Illinois in 1991. In addition to my private practice, I am also a clinical assistant professor at the University of Illinois where I supervise students in the postgraduate periodontal clinic. I am married and the proud father of three children, and a grandfather. In my spare time, I have completed eleven marathons, many triathlons and century bike rides.